There's No Series Quite Like Star Wars The Black Series! 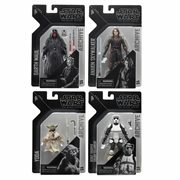 exceptional articulation are important to you, Star Wars The Black Series 6-inch action figures are definitely for you! From fan-favorite heroes like Luke Skywalker and Rey to the baddest of baddies like Kylo Ren, Darth Vader, and Stormtroopers, this fabulous series has exploded to include scores of popular characters and other toys and collectibles you can acquire right here! Calling all serious collectors and avid toy enthusiasts! If you're picky about the figures you add to your collection or toy box and authenticity, excellent detail, high quality, and exceptional articulation are important to you, Star Wars The Black Series 6-inch action figures are definitely for you! From fan-favorite heroes like Luke Skywalker and Rey to the baddest of baddies like Kylo Ren, Darth Vader, and Stormtroopers, this fabulous series has exploded to include scores of popular characters and other toys and collectibles you can acquire right here! 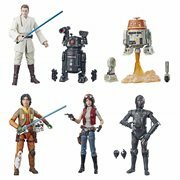 Developed by Hasbro in conjunction with Lucasfilm and Gentle Giant, this incredible line of toys was initially announced in January 2013 in response to the hype surrounding the release of Star Wars: The Force Awakens. 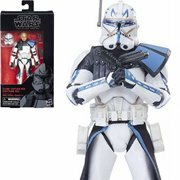 The first wave of The Black Series on August 1, 2013 consisted of 6-inch action figures of Luke Skywalker (X-Wing Pilot), Darth Maul, R2-D2, and a Sandtrooper (Squad Leader). Since then, the line has burgeoned to where it includes a host of characters based on the blockbuster movies, TV shows, books, comics, and video games from both the expanded universe and canon. 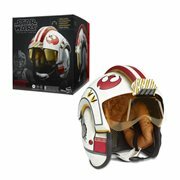 Prop Replicas, Helmets, and Much More! You may or may not know that the series has grown beyond the realm of playable and collectable 6-inch scale notables. 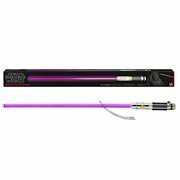 For your joy and entertainment, there are now terrific die-cast metal and other vehicles, movie-true centerpiece statues, authentic prop replicas, life-size Force FX lightsabers, and even 3 3/4-inch figures. We can't wait to see what's next! Bookmark This Page and Watch for New and Exciting Additions! Hasbro is constantly adding to this super-popular toy line, and because of our close relationship with the company and our wholesale division's status as a Premier Hasbro Distributor in the United States, you should bookmark this page and keep a close eye out for new items and exclusives like The Black Series 6-inch action figures and other one-of-a-kind toys, collectibles, and role-play replicas in this amazing line. You'll be glad you did!